When it comes to weddings, one’s mind tends to lean towards romance and the centre of that: lovers. Created from and with love, in the heart of downtown Regina, is Stone Hall Castle. It is truly a unique venue, which is sure to whisk you and your senses away with the romance and grandeur of Renaissance Europe and all its splendour. The tale of Stone Hall Castle is a love story in itself. It began in 1926, when wealthy philanthropist Francis Nicholas Darke imported the exact limestone used for the construction of the Saskatchewan Legislature. He hired the finest masons, carpenters and artisans of his time to build a fortress for his beloved wife at 2210 College Avenue. In 2003, Stone Hall was about to develop yet another love story. Regina-born real estate investor Jason Hall purchased the estate with a vision to bring to life on the Prairies the beauty and romance of affluent European castles and stately homes. The castle instantly went under construction, and museum quality antiquities were imported from all over Europe. The private collections of art, furnishings and fixtures are just a small mention of the love and detail that have been meticulously hand-selected for this architectural masterpiece. At Stone Hall Castle, because we truly believe that the honeymoon night represents the most special day in a couple’s new life together, we are offering our luxurious Princess Suite at half of our nightly rate. 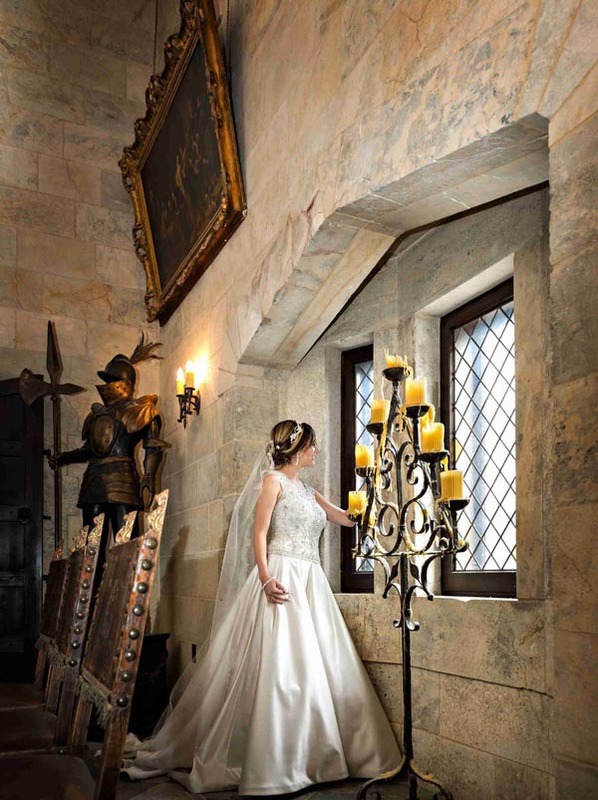 The Stone Hall Bride will be whisked away in the romance and splendour of the Castle in her Princess Suite. At Stone Hall Castle, we have carefully created the honeymoon package in honour and appreciation of love, romance and, above all, your special day. Stepping over the threshold of the Princess Suite, you will be greeted by luxurious layers of the finest textiles draping the mid-17th century oak, four-poster canopy bed, accented by the romantic ambiance, created by the flickering candlelight of handmade beeswax candles, made in residence. Beyond the classic romance of the suite, Stone Hall offers the service of a 24-hour butler, for your every need — from turndown service, drawing a rose petal bath in the serene soaker tub, to so much more. With your honeymoon stay, you have full access to the castle, including its state-of-the-art home theatre room, the grandeur of the dining room and the great hall, right down to the library, and availability of airport transportation. For the Stone Hall Bride who wishes to simply step back in time and capture her unique wedding day, we offer incomparable bridal shoot packages for you and your photographer. Allow the Fortress to be the richly romantic backdrop to complement and encompass the romance and the beauty that you are! 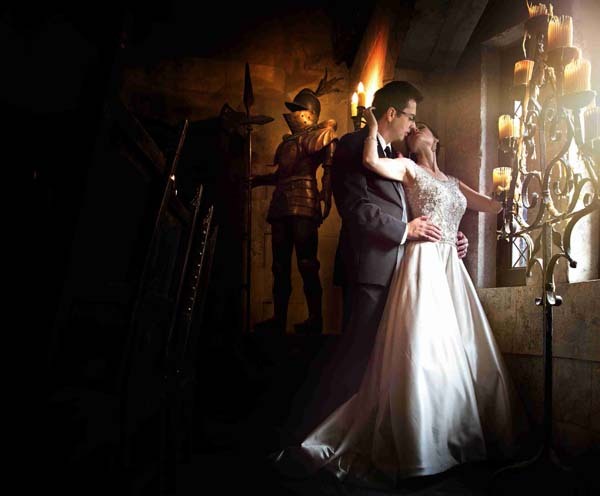 Stone Hall Castle looks forward to creating and complementing your once-in-a-lifetime occasion. 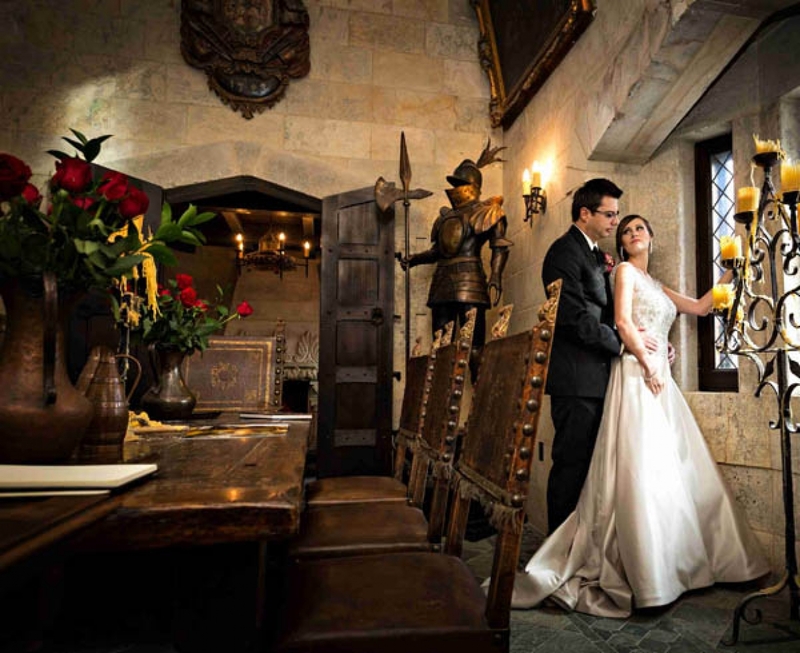 Stone Hall Castle also offers daily tours, and can accommodate a variety of special events. For more information on the facility and its room rates, visit www.stonehallcastle.com.